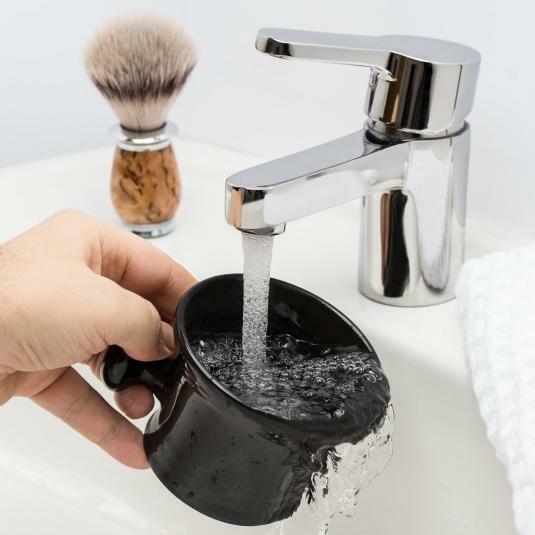 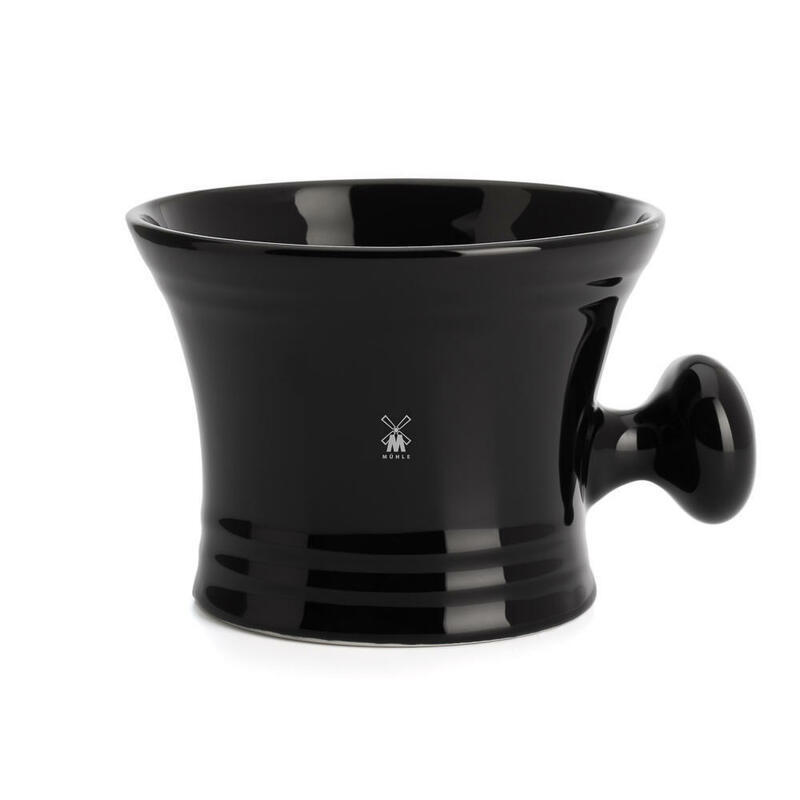 This black porcelain shaving mug, with its extra high brim and easy-to-grip knobby handle, quotes traditional designs to leave a classic impression. 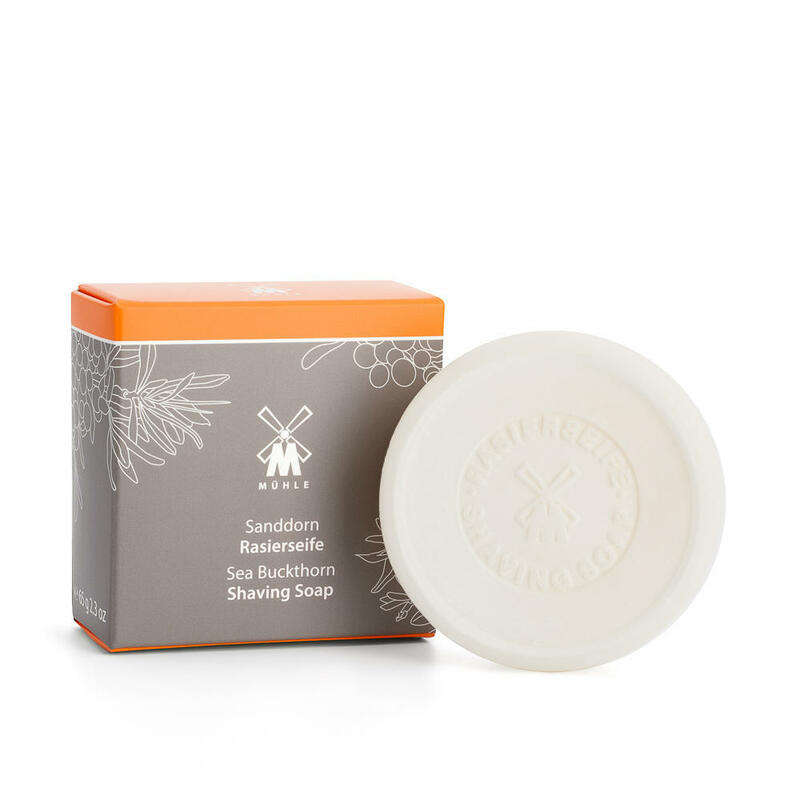 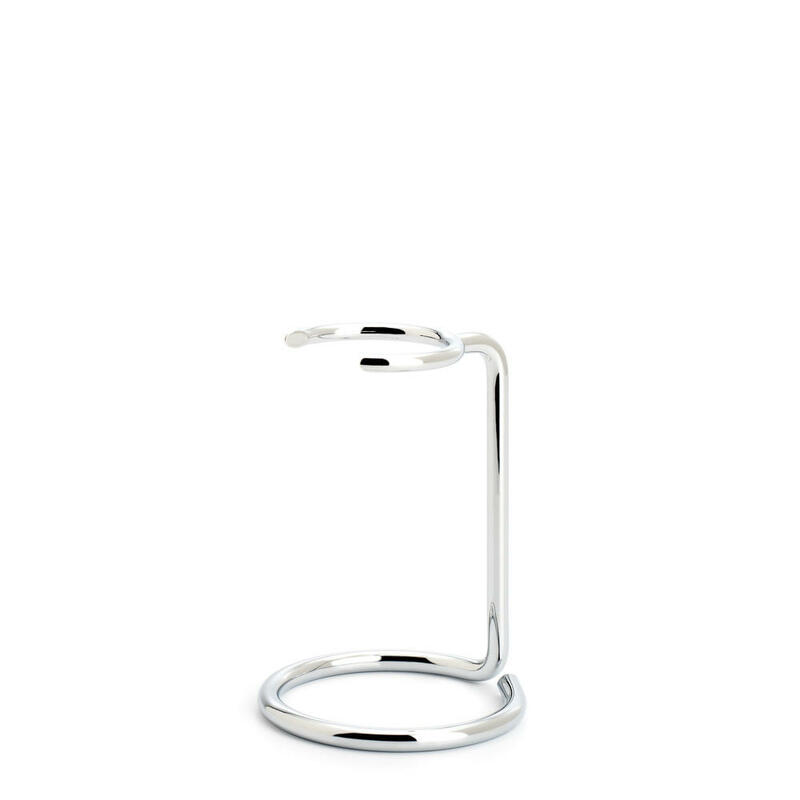 It accommodates the shaving soaps RSAV, RSSD and RSSH. 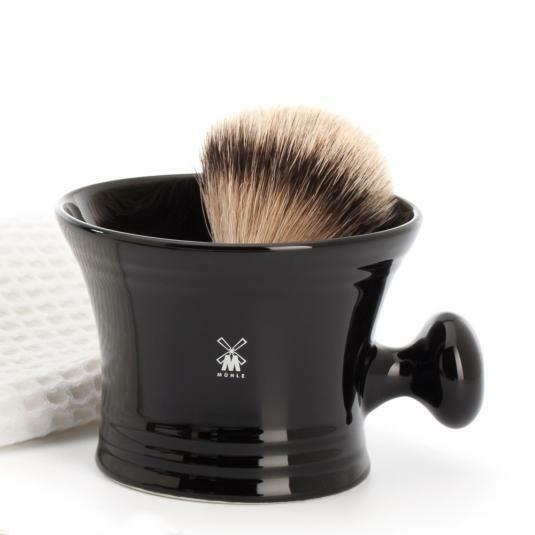 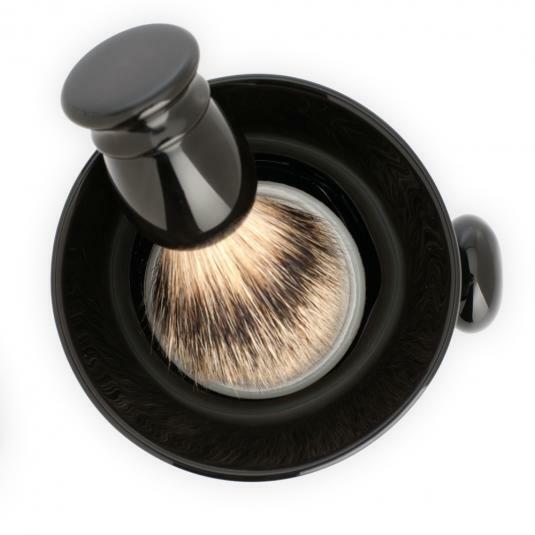 Note: shaving brush NOT included in purchase.